This post card from the collection of Bob Graham shows Mill Street in Middleport in the early 1900s. The postmark on the back of the card is dated 1908, with the front labeled as Mill Street, Middleport. 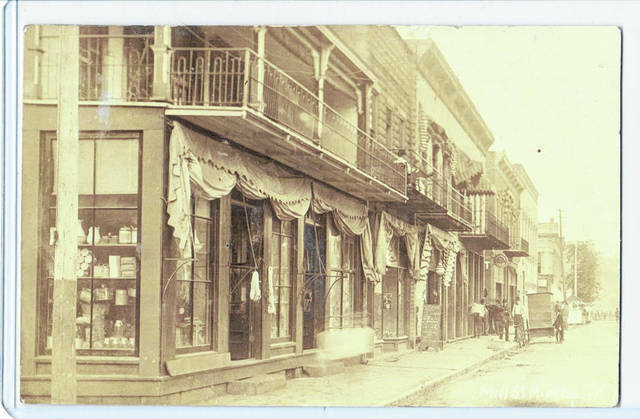 https://www.mydailysentinel.com/wp-content/uploads/sites/14/2018/10/web1_10.18-Throwback-Mill-Street-1908_ne20181017848553.jpgThis post card from the collection of Bob Graham shows Mill Street in Middleport in the early 1900s. The postmark on the back of the card is dated 1908, with the front labeled as Mill Street, Middleport.